and G-AGRU from a 3 view below. 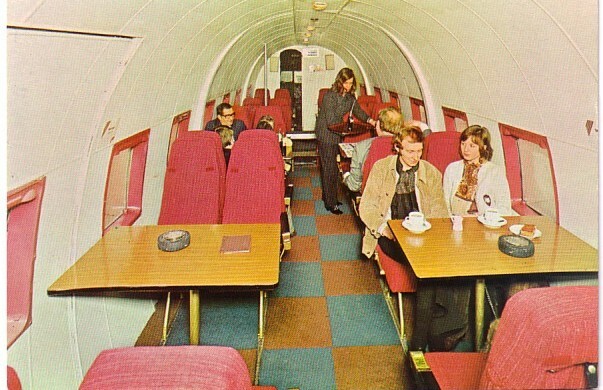 By comparison the next card IS an airliner interior, again a Viking but this time of Continental Air Services. As it happens this operator also had a strong Dutch connection. It had both British and Dutch directors and the fleet was part based at Rotterdam. 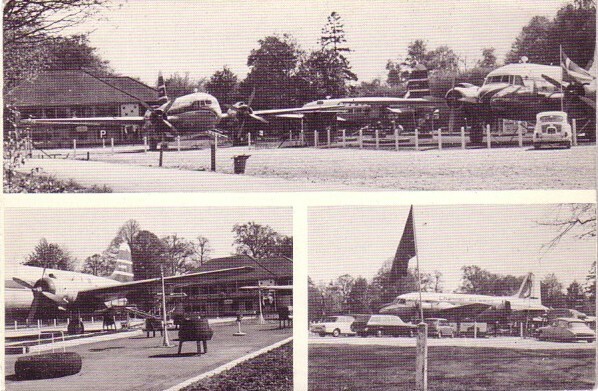 The fleet peaked at 6 Vikings - a DC-3 and 2 DC-4s were also used but only the last year of operations before closure in 1960 , triggered by the impounding of a Viking at Southend by BKS for non payment of debts for maintenance. 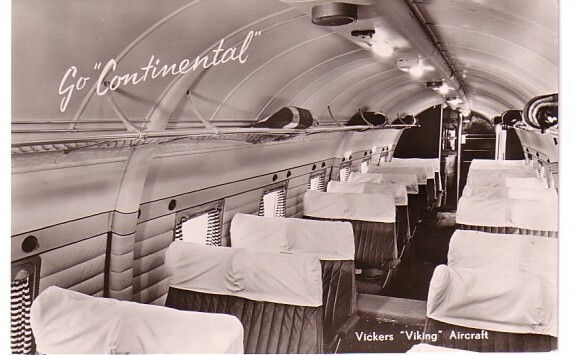 The card is in the style of the Dutch collector card publishers of the time and one other, a ground view of Viking G-AIKN with the same Go Continental slogan is also known., plus a "pasted" air view of Viking G-AHPE.